« More Vuja de, less Deja Vu ….. Being safe is good for roads and railways, but life requires risk if we’re to achieve anything meaningful. We’re born to take risks. If we weren’t prepared to fall flat on our face, we would live in a world of bum shufflers where no one had ever taken a chance to learn to walk. There are many dangers in life, but one of the biggest is safety, because you risk far more by not risking anything. Moderation is for the fence-sitters of the world who are too afraid to make a dent in the universe. Playing it safe is mediocrity, fear, and confusion in disguise and doesn’t make anyone happy. It’s for those who run the race to mediocrity, too afraid to laugh or cry, and too afraid to live or die. As my friend, author and former world champion trampolinist Dan Millman says, "Moderation is lukewarm tea, the devil’s own brew." 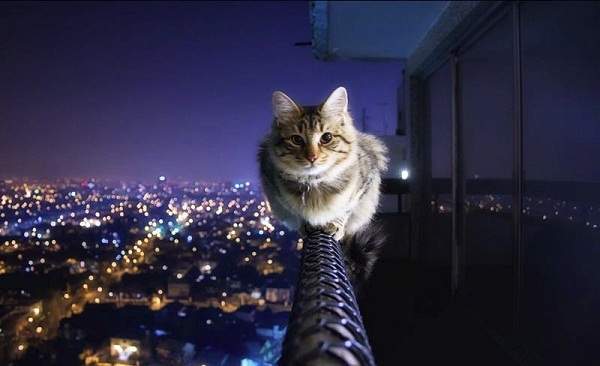 Although I’ve had a very good year, one of the things I could have done better is to take a few more risks. Next year, when I’m deciding which path to take, I’ll practice being more courageous: doing my best every moment but letting go of the results. You see, sometimes I get attached to the results because I want confirmation that who I am is good enough. But then I remember that the Ark was built by amateurs and the Titanic was built by professionals. Jack wakes up with a huge hangover after attending his company’s Christmas Party. He didn’t even remember how he got home. The first thing Jack sees when he wakes up is two aspirins and a glass of water on the bedside table next to them, a single red rose! He sits up and sees his clothing in front of him, washed and ironed. He stumbles into the kitchen and sure enough, there is hot breakfast, steaming hot coffee and a newspaper. His 16 year old son is at the table, eating. Jack asks his son, "What happened last night?" “Well, you came home after 3 a.m., completely drunk, fell on the coffee table which broke and then you were sick on the rug." Confused, he asks his son, “So why is everything so clean and tidy, why have I been given a rose and why is breakfast is on the table waiting for me?" His son replies, “Oh that. Mum dragged you to the bedroom, and when she tried to take your trousers off you screamed …..”Leave me alone, I’m married!" This entry was posted by admin on December 22, 2013 at 5:46 am, and is filled under Sunil Bali, The Art of Awesome Living, The Book of Awesome Humour. Follow any responses to this post through RSS 2.0. Both comments and pings are currently closed.